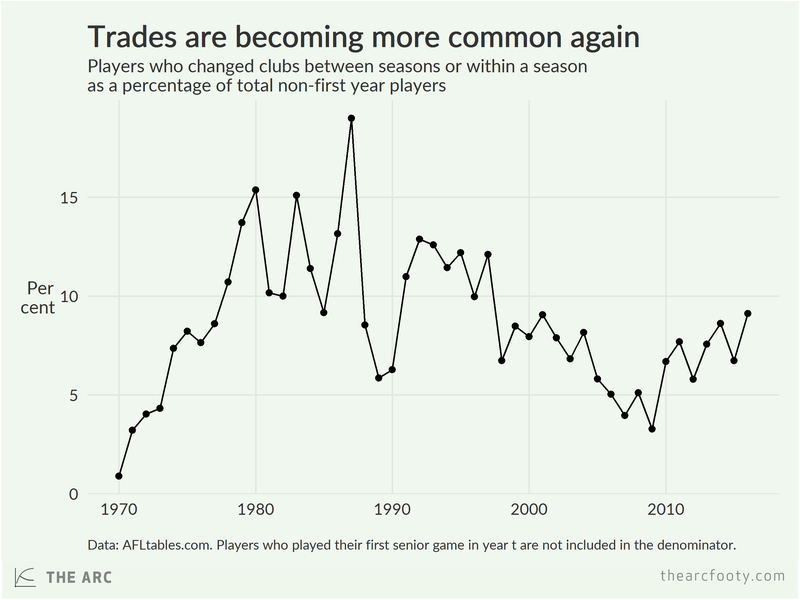 Has the AFL gone trade crazy? Fifty-two AFL players played for a different club in 2016 than they had in 2015. That’s the largest number of players who changed clubs since 1997, when 58 made the switch. The number of players who change clubs has been rising more-or-less steadily since bottoming out in 2009, when only 16 made a switch. If you have a short footballing memory, it might seem as if the league has gone trade crazy, but it really looks as if the late-2000s were a period of unusually low trade activity, rather than the last few years having an unusually high number of trades. Of course, the total number of players in the league has grown as well, with new clubs joining the AFL. There were 570 active players in 2016 who also played at least one game in 2015. Of those 570 players, 52 changed clubs between 2015 and 2016, meaning that 9.1% of non-first year players in 2016 were at a new club. 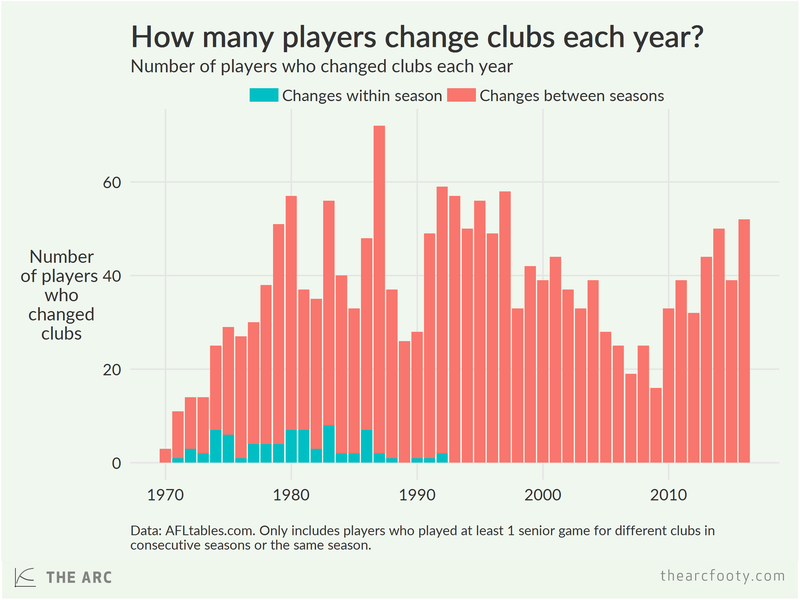 That percentage has been rising, but we’re still way below 1980s levels, when 10-15% of non-first year players typically changed clubs in the off season. Note: Players who played for the Bears in 96 and Lions in 97 are treated as having stayed at the same club; those who moved from Fitzroy in 1996 to the Lions in 97 are treated as having changed clubs. Previous article	← When should footy fans lose hope?